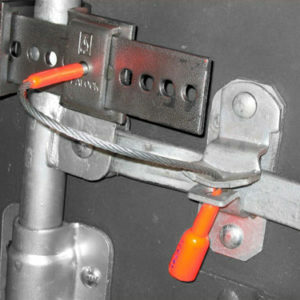 (1) Right-Hand door Bracket made of 100% steel with serial number to match each other component deeply stamped into the metal and highlighted in day-glo orange paint. 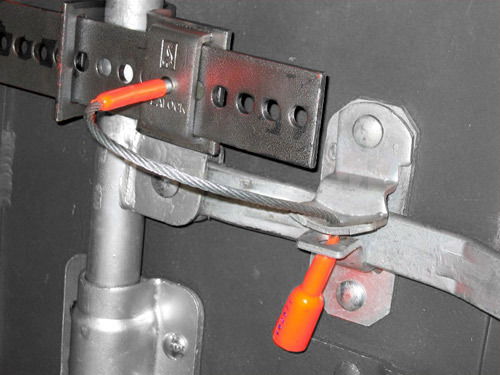 (1) All-steel J-Bar with serial number to match each other component deeply stamped into the metal and highlighted in day-glo orange paint. 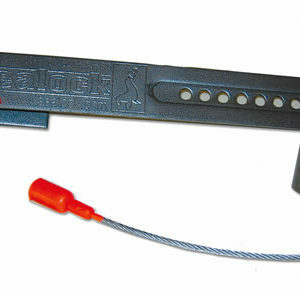 (1) Braided steel cable with bullet tip on one end and a seal with a matching serial number and the word “SEALOCK” embossed thereon on the other end. 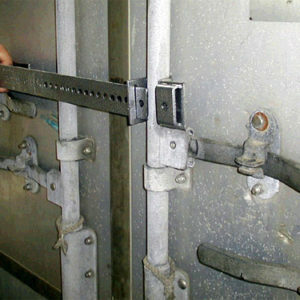 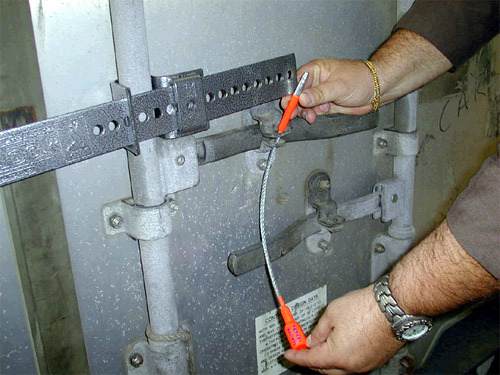 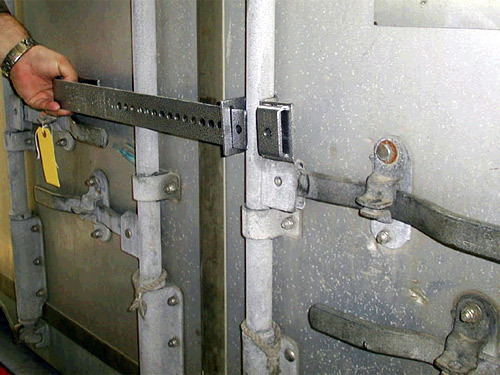 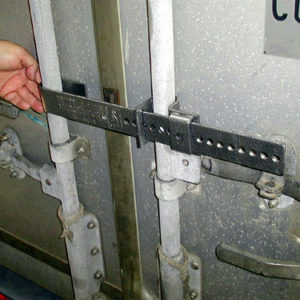 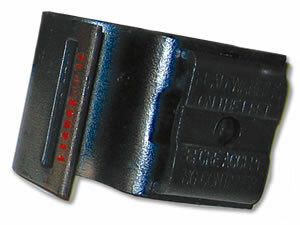 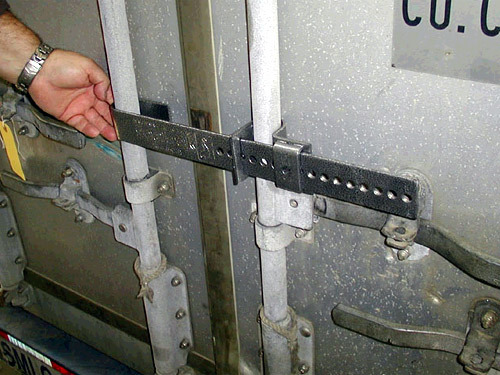 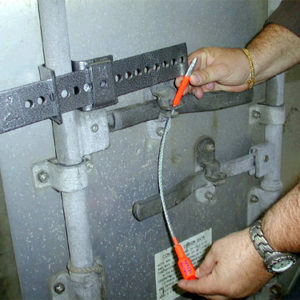 Insert the bullet-tipped end of the cable seal into the container’s sealing aperture as indicated in Figure 5. 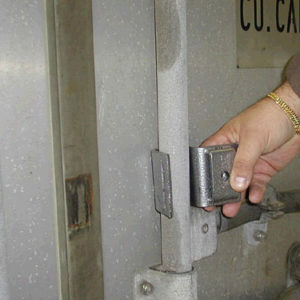 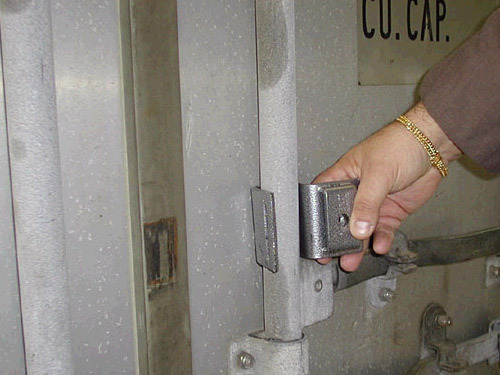 Record the seal number on your shipping documents. 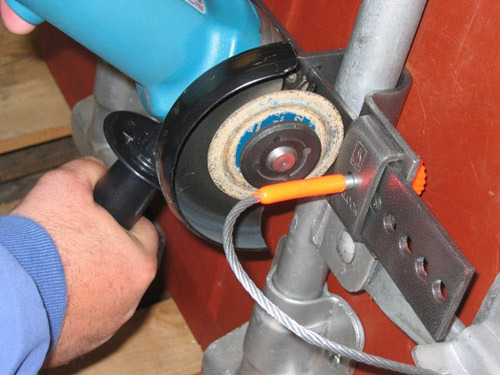 Cut the steel bar where shown in Figure 7 using an angle grinder or reciprocating saw. 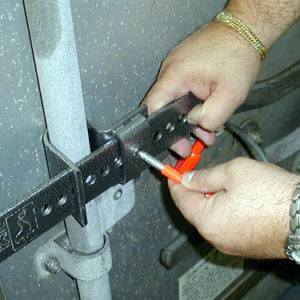 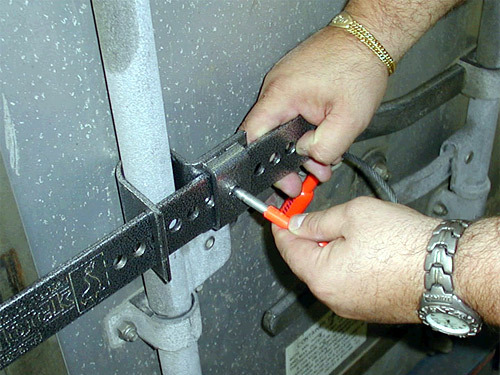 Cut the cable seal to unseal the door handle using the same power tool or a bolt cutter and discard the parts as they cannot be reused. 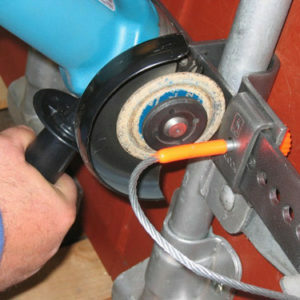 Always wear eye protection when using power tools.